Part of organizing David included addressing the collection of paint. 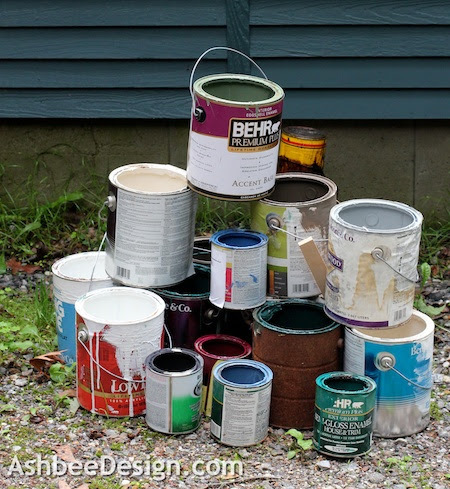 Any DIY family seems to collect paint and our pile was out of control. I went through it all, identified cans that matched current walls, labeled those and saved them, and marked the rest for disposal. Paint is tricky. 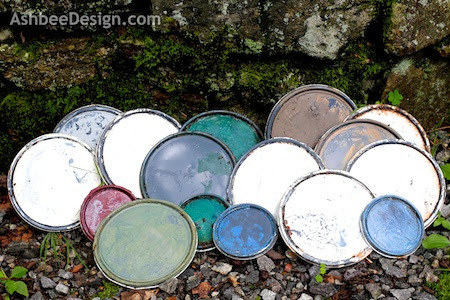 It can't be discarded but latex paint is non-toxic when solid. I had previously tried removing a cover to let it dry out and it took years (literally) to turn solid. I approached it differently this time round. It is called painting - contemporary style! 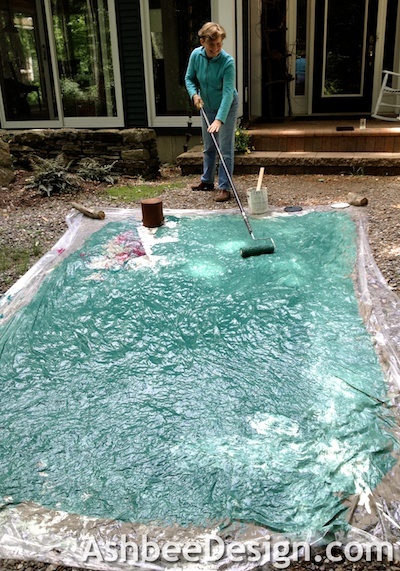 I place a sheet of painter's plastic on my driveway in a sunny spot. On a clear, low humidity day, I dumped the first can of paint and rolled it out. With the sun shining on it, it dried within in an hour. Layer two went on top. As the day warmed up and the sun got higher, drying times dropped to less than 30 minutes between coats. I waited another hour and continued. It took two sunny days, but it was truly fun painting. I now have a very heavy sheet of plastic, covered in dried paint, that I will roll up and bring to the transfer station...... No, it doesn't qualify as contemporary art! Next, the oil based paint will get delivered to the monthly hazmat collection. And I have more space emptied out for organizing!